The koel bird is here. It balances on the electric wires in its gleaming black cloak of honour. Its bright red eyes survey the area. Then it sends a repeated whoop, heralding the approach of mango season. سُبْحَانَ اللّهِ وَ بِحَمْدِهِ [Subhana wabi humdihi (Glory be to Allah and Praise be to Him)]. This year we have a delectable treat for iftar, In sha’ Allah as the long awaited mango season is almost here and Ramadhan around the corner. Actually, here in Karachi, our spring comes in the winter whereas other countries are experiencing the season as we speak. The glorious seasonal flowers that are usually seen in the spring in other parts of the world have already come and gone in December for us! We now see those plants that are made of tougher stuff and must brave the summer. And sadly, not all will make it through. For a student of Qur’an like me, every single aspect of life brings about a connection to Rabb. Like us, the plants also come from earth and must return to it. Where I grew up in America, there were four proper seasons. The change from each season to the next was remarkably subtle, yet quite distinct. Winter; the delight of pristine new snow and icicles. These were toys from Allah (سبحانه وتعالى ) for the child in us all as we loved to play in the snow. 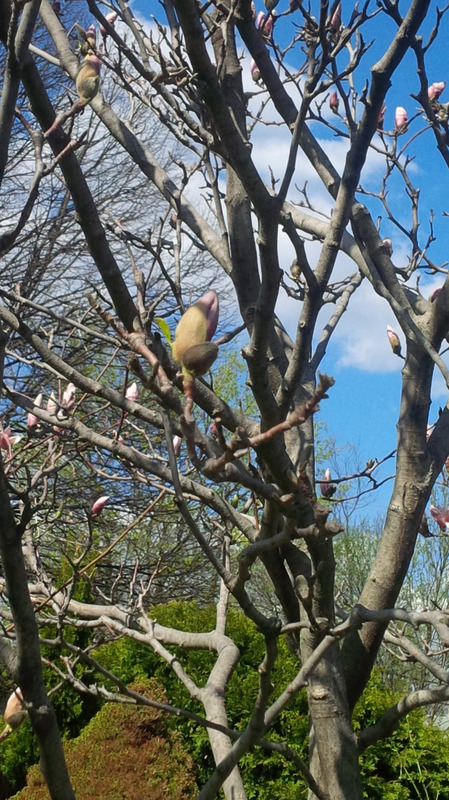 Spring; the fresh green buds erupting in surprising places and ways Allah’s (سبحانه وتعالى ) signs of things to come. Summer; the lazy air, hot and heavy with floral scents, perspiration and chlorinated swimming pool water. It was a time of activity and contemplation. Autumn; a paint box of colored leaves sprinkled on the hills. A marvelous montage from the Creator for those who look. Mounds to rake, then jump in the middle and throw at each other or up in the sky. Then rake again. it was a child’s play and mum’s work. When we moved to the United Arab Emirates for a while, many years ago, seasons disappeared. We would joke there were only two seasons, summer and August! The Qur’an only mentions the two seasons of trade in the Arabian peninsula; winter caravans went South to Yemen, and summer caravans went North to Syria with the vital and lucrative business in the barren land of Makkah. Finally, as spring arrives and the excitement of expectations takes hold, there is a joy and an energy and revitalization it brings along. It’s time to get busy with “Spring cleaning”. It’s time to sort out the garden. In other words, it’s time to put the house in order and get ready. Ready for what? When we prepare for our house in this duniya, are we also preparing for the final home? We know what we need to do. We know how and when to do it. Yes, spring is a time of hope and renewal. Yet, let’s see if I choose what I am able to renew. Will it be revitalization of my imaan (faith) and obedience to Allah (سبحانه وتعالى )? The question I ask myself – How do I clean my heart? Allah (سبحانه وتعالى ) knows best, and His punishment is terrible, and His reward is wondrous beyond imagination. May Allah(سبحانه وتعالى ) guide us all to which pleases Him the most. Aameen. This entry was posted in Monthly Special and tagged Seasons, Spring. Bookmark the permalink.